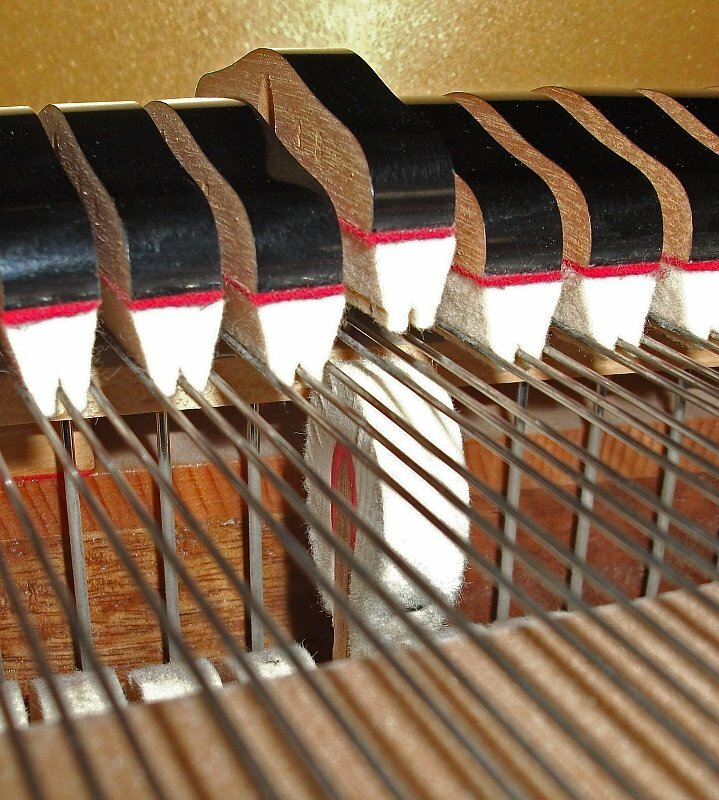 This snapshot shows the crucial moment of a pianistic tone production: By pressing down a key the accelerated hammer lifts the damper, thus hitting against the 3 chords causing them to vibrate freely. 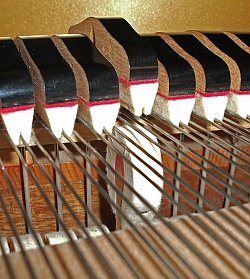 This seemingly simple but in fact very complex process symbolizes one of my basic pianistical principles : Discovering the sensual beauty of the piano sound by a prepared, controlled touch, evading the common image of treating it like a percussion instrument by “hurting” ( unluckily provoked by the german word “Anschlag”). Even after 40 years of performing on this unique combination of key – and string instrument, a truly ingenious product of human phantasy and power of imagination , I am still fascinated by its secrets of sound origination which can never be rationally disclosed or explained. The unlimited possibilities of sound differenciation, of articulation, of legato playing in accordance with a stylistically flexible pedalization have always been the stimulus for my occupation as pianist and my dedication to that wonderful musical instrument and its rich, immense repertoire. Please find the most important information about my person and my various past and present artistic and pedagogical activities.